We hear a lot about megachurches in American society today. What would it be like to have a Catholic parish consciously focus on being a megachurch? I was able to find out when I took some time to visit Nativity Parish in Timonium, Maryland. Timonium is a northern suburb of Baltimore, the site of the annual Maryland State Fair. Some years ago, Nativity Parish made a decision to focus its attention mainly on those Catholics who do not attend. Once that decision was made, it affected the whole dynamic of parish life. When the focus of parish life is mission, members will be missionaries. The Church of the Nativity in Timonium is quite consciously a community of disciples. While anyone is welcome to attend weekend services, those who choose to become members must make a serious commitment of time, treasure and talent. All members are expected to volunteer at the parish in some capacity: as Sunday greeters, extraordinary ministers of Eucharist, youth leaders, and so on. Members are also asked to make personal sacrifices. The parish parking lot is not large enough to accommodate all who want to park for most Sunday services, so regular parishioners are invited to park “off campus” on surrounding streets so that visitors, seekers, newcomers will be able to park in the prime spots near the Church entrance. Last Easter, regular parishioners were asked to attend the somewhat less popular noon Mass, so that visitors would be more comfortable (and maybe even find a seat) at the very popular 10:30 am service. The services are lively and very well attended. Average weekend attendance is 3,500 and the weekly collection, while it varies a bit from week to week, averages between $35,000 and $40,000. Time and group effort is put into homily preparation. The music is lively. The lector is well prepared. Great care is given to sound reproduction and to the quality of video projections used throughout the service. Hospitality is evident from the time a person arrives, through the Mass itself, and during the coffee hour afterwards. While Nativity has the exciting feel of a Catholic megachurch, the parish also offers a sense of the personal. This is accomplished mainly through participation in small faith sharing communities. Approximately, twenty percent of parishioners are active in these small groups of about 10 participants each. The groups meet in parishioners’ homes. A staff member works full-time in support of these groups. The parish also prides itself on the care exercised in passing the faith on to the next generation. Carefully planned religious education, children and youth worship experiences and small faith-sharing groups for children and youth bring that same spirit of the personal to the younger generation of parishioners. Check out the Nativity Parish website at https://churchnativity.tv/. Browsing though it you will get a sense of the parish and the staff. The pastor, Fr. Michael White’s homilies are available online. It may not be possible for every parish to duplicate what happens at Nativity, but much of what happens there can be adapted at other parishes: clearly expressed concern for visitors, well prepared homilies and liturgies, and an insistence on the active involvement of members. Perhaps, the most important hallmark of Nativity, one that all parishes could learn from, is its self-identity as an evangelizing center that exists to meet the spiritual needs of those not yet attending. Fr. 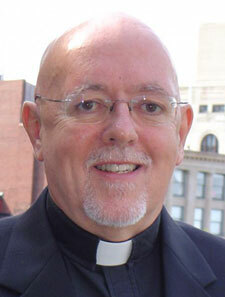 Paul Huesing, CSP, is the Rector and Director of Formation at St. Paul’s College in Washington, DC.